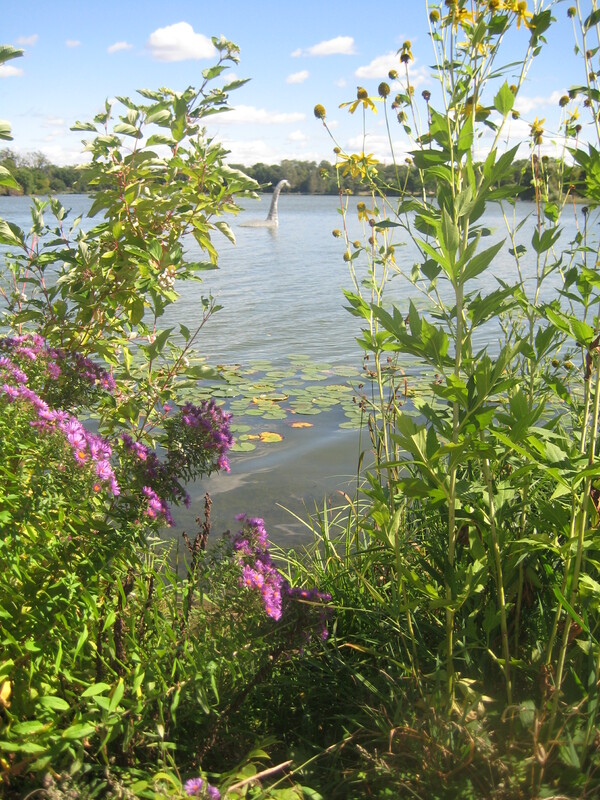 So, it’s a beautiful sunny day — need an excuse to visit Lake of the Isles? Go visit Minne; last I saw her she was in the SouthWest corner of Isles. But I heard it rumored she is enjoying the lake so much she just might be taking a swim around to check out more sections of Isles!! That is, if she’s not flirting with @RoyTheJackalope!! 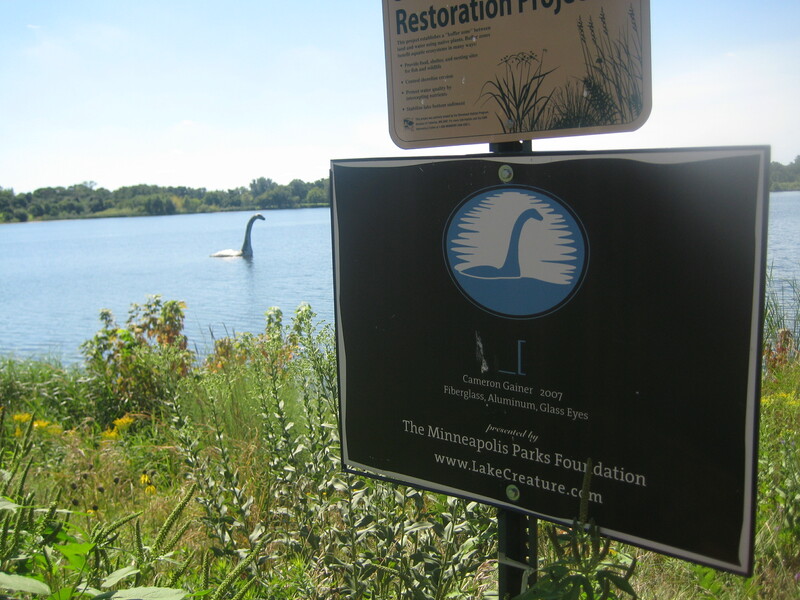 You know, the Minneapolis Parks Foundation could have just started a Visit a Lake campaign. 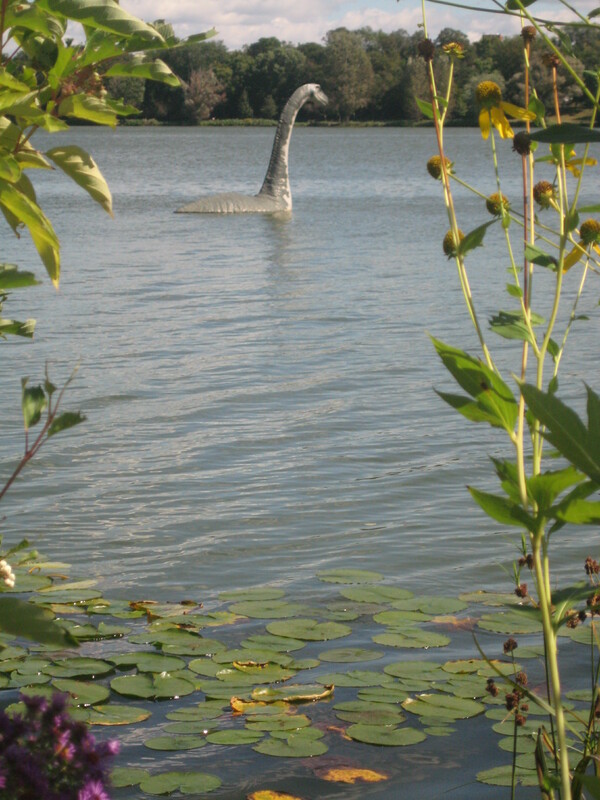 But no, they invented Lake Creature, thus delighting all ages with mystery and adventure. 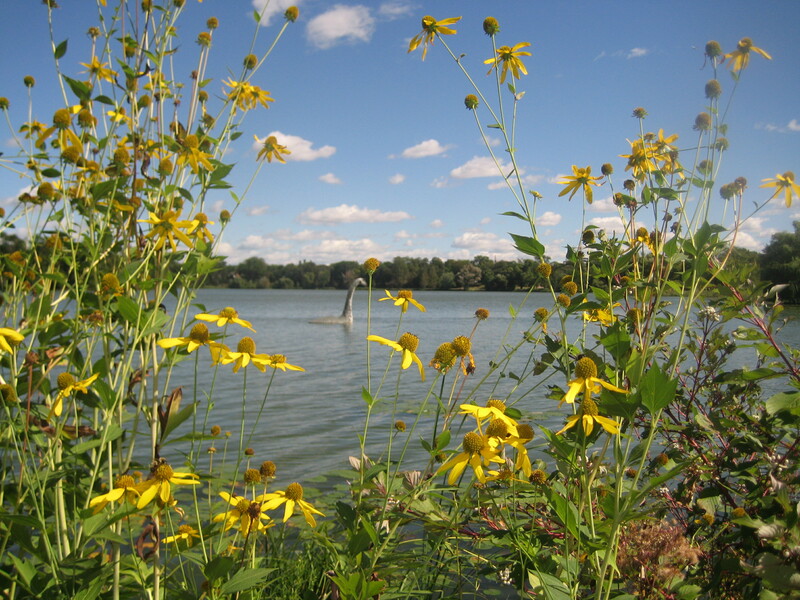 This summer @LakeCreature started out in Brownie Lake and then moved to Hiawatha. Today Minne is moving … and will appear in a new location on September 14. 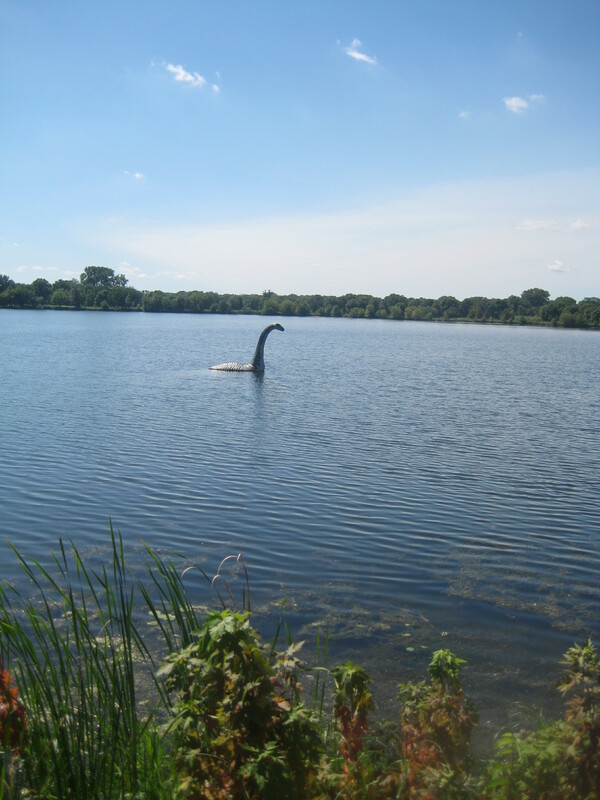 (BREAKING NEWS: Minne will be somewhere in Lake of the Isles on September 14!!!) 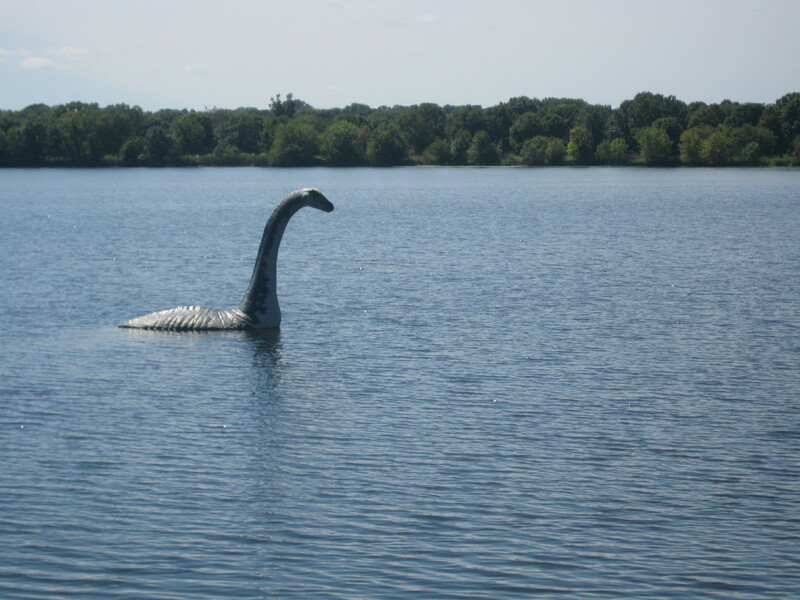 Shareology looooooves Lake Creature in person and on Twitter. But she especially loves that marketing outside the box can be effective and fun, fun, fun! !